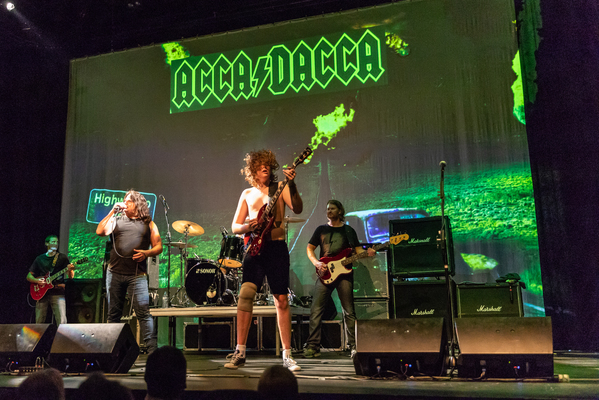 Calling all ACCA DACCA fans – don’t miss the Australian AC/DC Show at The Noosa Heads Surf Club on Saturday 2 February for a massive two hour set. The event will take you on a journey from the humble beginnings of the legendary band through to the Bon Scott era and the fallout from his death, through to the many highlights with Brian Johnson at the helm. The band succeeds where others have failed through the use of visual mediums such as film clips, interviews, rare photographs and combines them with an electric live performance. 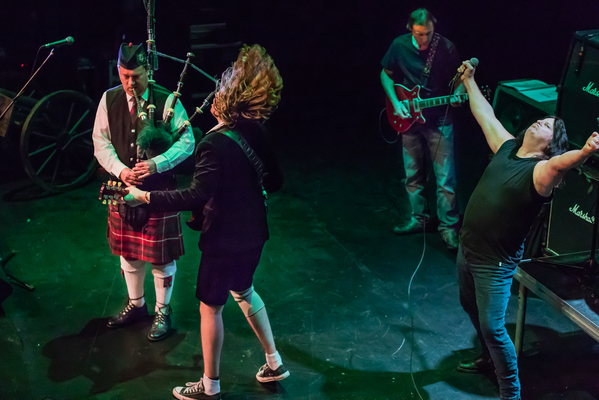 Officially launched in 1990 the tribute band is performing as strong as ever with the original lead singer, Alfi Rocker who does an incredible job singing in the styles of both legendary singers Bon Scott and Brian Johnson. While the lead guitarist plays the role of a young and wild schoolboy, Angus, perfectly. The band always strives to deliver the next best thing to an actual AC/DC concert in sound and vision. Come along and rock out to songs from each album. It will take you back to the days when this cheeky group of Aussie underdogs defied all odds to reach the summit of rock and roll. ACCA DACCA – The Australian AC/DC Show will perform at Noosa Heads Surf Club on Saturday 2 February from 8.30pm – and it’s free. For a chance to win a dinner package for four to enjoy before the show see the competition on page 2.